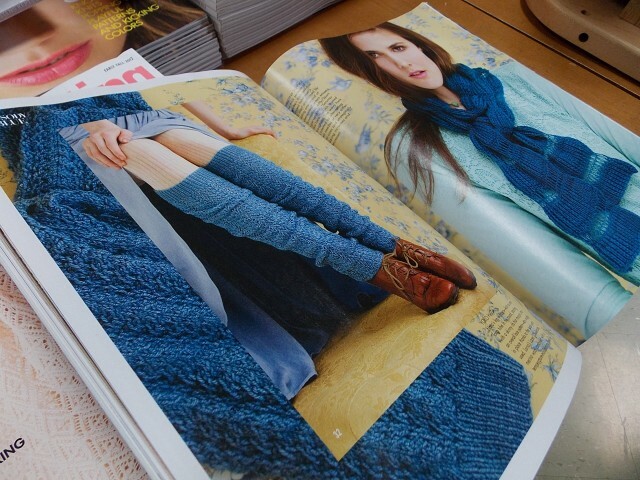 After nearly a week of 90 and 100 degree days here in North Carolina, the Early Fall 2012 issue of Vogue Knitting Magazine seems a bit premature. Lovely to look at, though, and with strong air-conditioning, we can knit not only for early fall, but also for mid-winter. (The shop is nice and chilly these days; bring your knitting!) Take a look inside this issue. 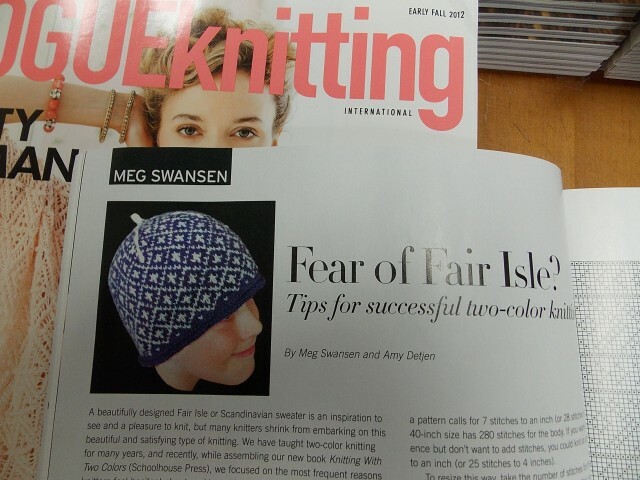 I was also pleased to find within these pages an article by Meg Swansen and Amy Detjen, authors of the fabulous Knitting With Two Colors, which I gushed about here on the blog when it was published in January. 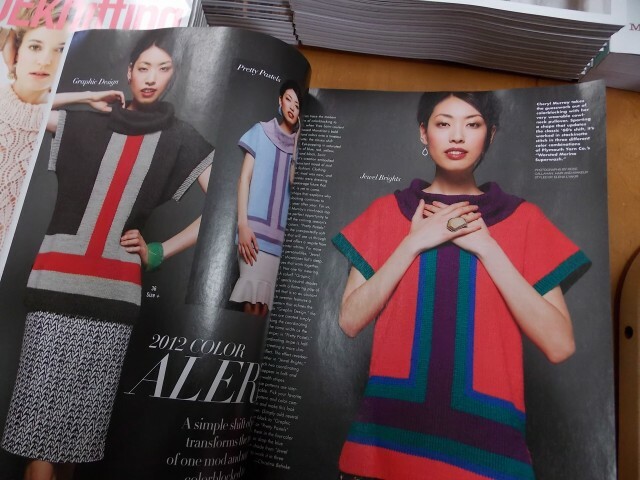 This article in the Early Fall issue of Vogue is like a preview of the book, a teaser that will get you hooked on stranded colorwork. 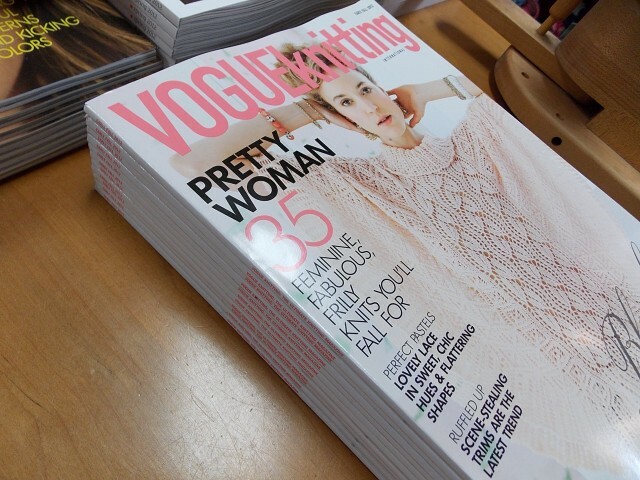 Find the Early Fall issue of Vogue on the teacart.